Theres something special about a window painting, definitely a silver lining on this particular rainy day in Oswestry. An event to celebrate the exclusive collaboration between Sunny Side Art and Booka Bookshop for Booka's "Oswestry Stories," was hosted by the team at Booka. Linda recreated part of the Oswestry Story design on the shops window. The evenings event was a great success. 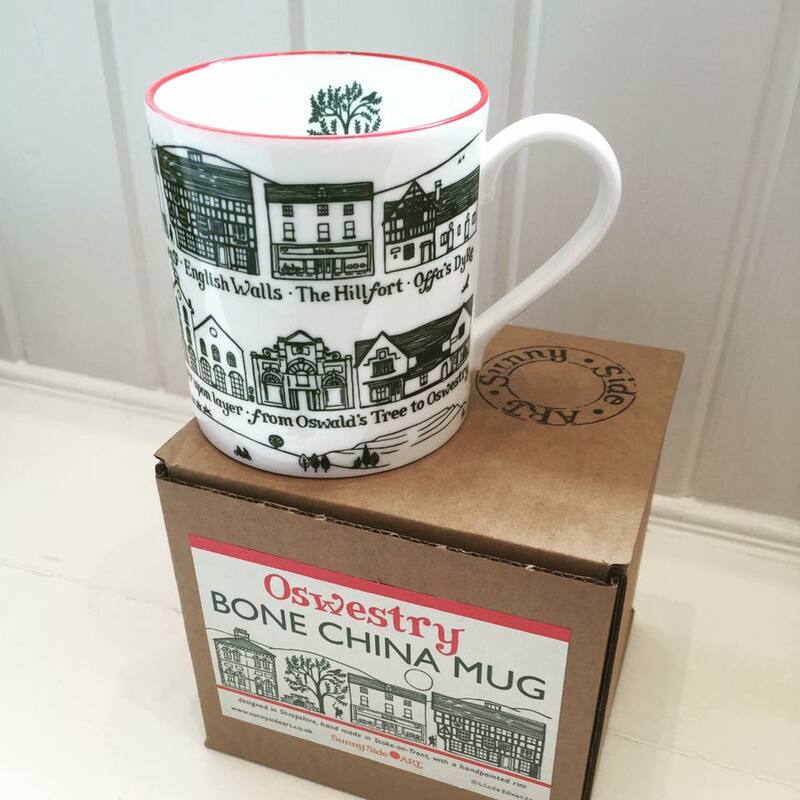 The new bone china mug from The Potteries with the gorgeous hand painted rim looked amazing. Thanks everyone at Booka for being the perfect hosts!